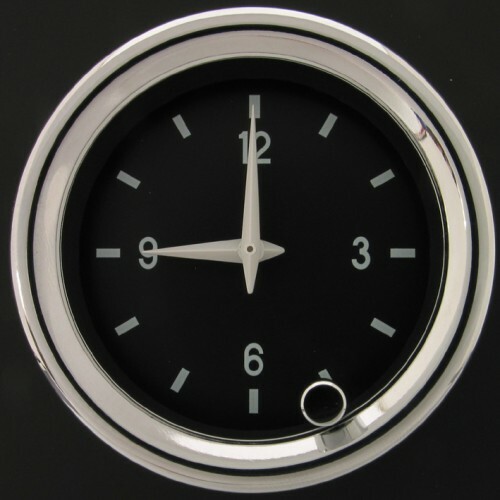 The 52mm analogue clock has white LED illumination and is supplied with a U-shaped bracket and nuts for fixing to the dashboard. 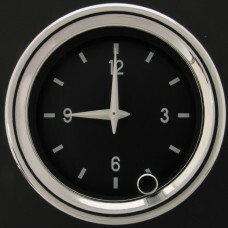 Clock setting / adjustment is by capacitive touch via a small chrome knob. 52mm Clock wiring diagram found here.